Mt.yake, Mt. kasumizawa, Mt.roppyaku, and Mt.tyou. And 4 bridges, over the azusa river. named tasiro-bashi, kappa-bashi, myojin-bashi and sinmura-bashi. And before the kamikochi is river-side area. you may see the beautiful mountans. the views is almost same. And from road to road to walk, another views. No normal route to clomb Mt.myojin. 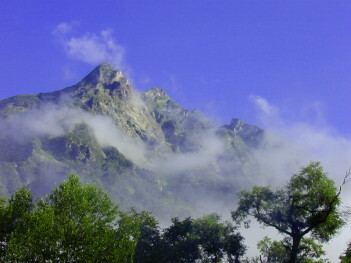 Difficult to climb and to hike around the mountain ranges of Hotakas. and hith range of about 3,000m. and to the karawawa the bottoms of the Mt.maeho, Mt.okuho and so on. The history of the kamikochi starts before 2000years ago. The God of the sea came here, named hotaka-no-kami. the group of samurais under the Syougun(the Highest). Here is the fields of cows and horses. 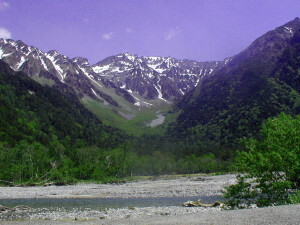 Till this age, the center of the kamikochi is the myojin-area. and other climbers from euarope. and the sight from there in the Kamikochi. Say the kamikochi, it's the kappabashi-area now. or automn, the days not saturday. but many flowers about myojin-area or tokusawa-area. But on saturdays is yets crowded. There are camping sites near kappabashi-area and tokusawa-area. Myojin-area is cheaper because you must walk for 40mins. The huts are clowded at the summer and autumn season. You do not need a sleeping bug. we recomend you get to the huts by about 2or3p.m..
We have so many nice hotels and huts for you. also have you, for the nice nature. just 3Km. flat road, slowly walking about 45min..